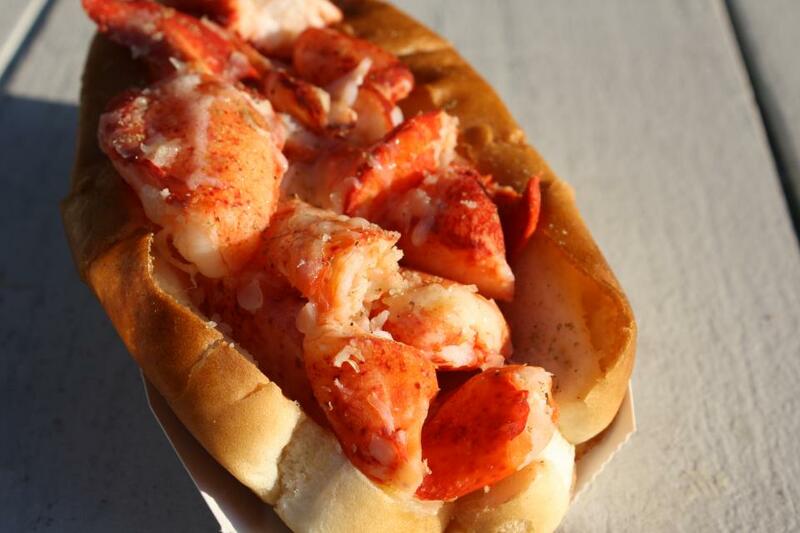 There are numerous places which sell lobster rolls in New York City and it is one of a must food to try during your stay. 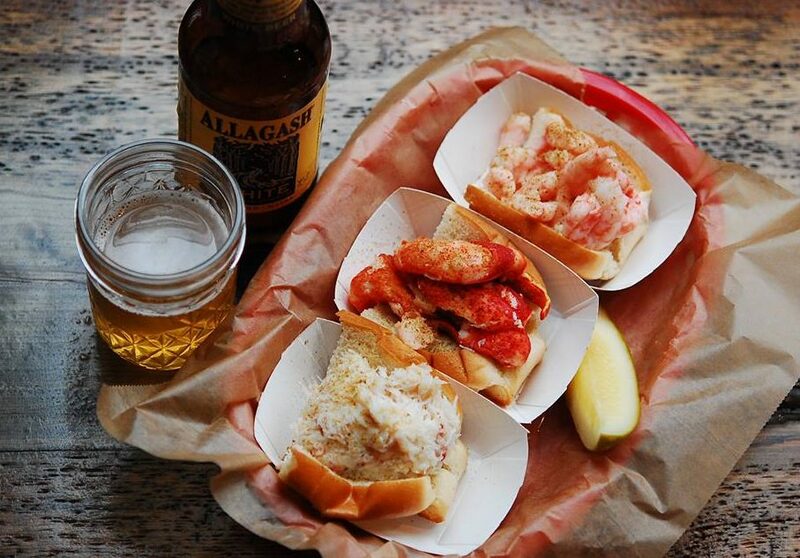 The one sitting on the top of the lobster rolls is said to be Luke’s Lobster and which is the one locals recommend. Their fresh lobster, crab and shrimp are delivered from the Maine Coast and Luke’s Lobster offers them at affordable price compared with other stores in New York City. Now their popularity has spread and has about 25 locations throughout United States and in Japan. The information I’m sharing here is about the original shack at East Village. 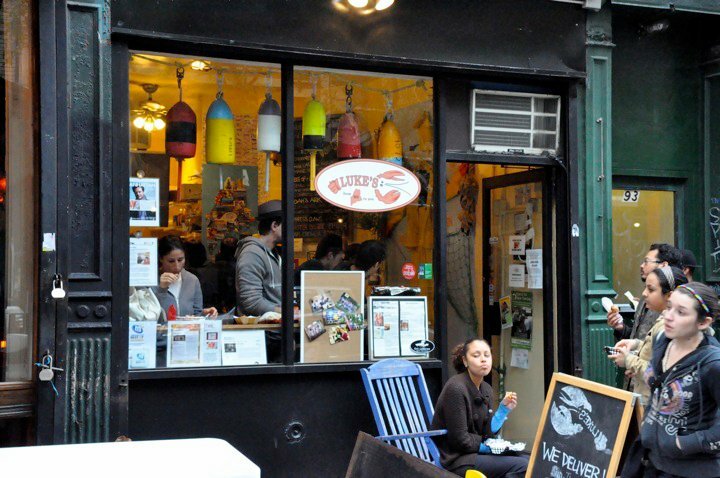 Luke’s Lobster opened its first door in the heart of New York’s East Village on October 1, 2009. This is the smallest location and you can miss it if it is your first visit. While the interior is marine taste and lovely, it is not the place you sit down and have dinner. They have only 6 or 7 seats at the counter, and most people take out their foods. If you would like to enjoy a nice vibe with a Lobster Roll, the Brooklyn Bridge Shack is recommended, which is located just underneath the Brooklyn Bridge. The menu varies by location, hence it is also interesting to visit some locations. “Sustainable” and “traceable”, these are the keywords for the ingredients Luke’s Lobster uses. From the ocean, they take care of all supply chain to ensure the freshness and serve you the best seafood. 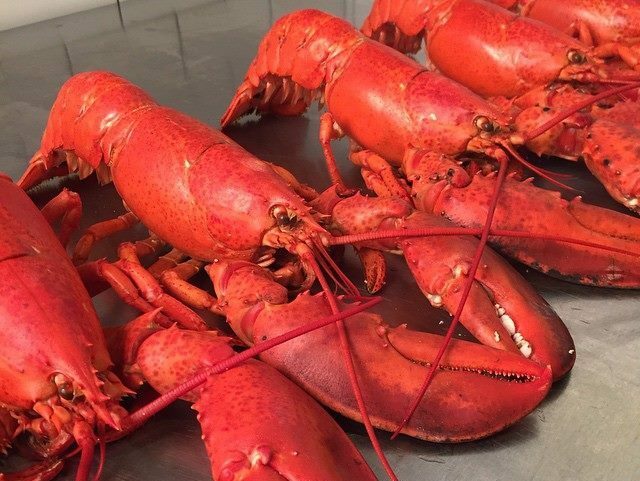 They source the seafood only from fishermen they trust and they are cleaned and steamed to preserve by Cape Seafood, the sister company Luke’s Lobster. All steps are perfectly planed to deliver the freshest seafood to you and the stable and trustful supply chain will never change their high quality of seafood. 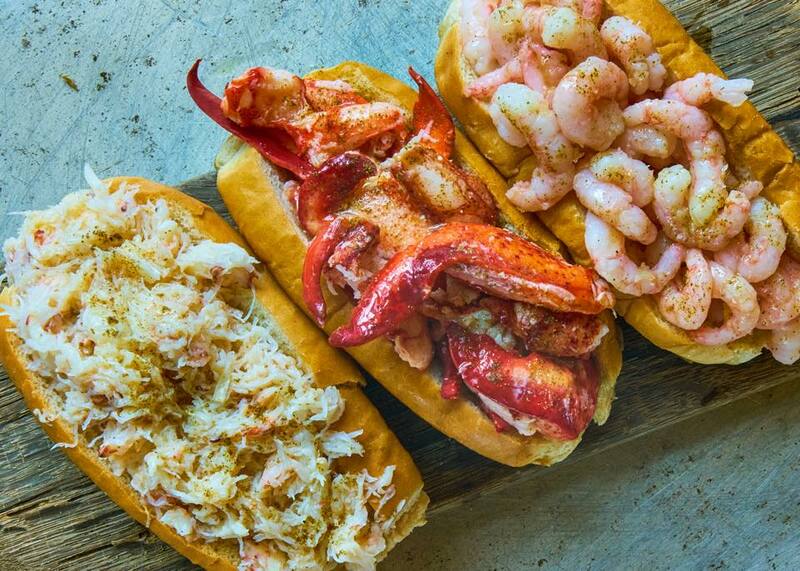 The Lobster Roll at Luke’s Lobster is made of claw and knuckle meat, which are seasoned with mayo and their secret seasoning, then topped on a bun with melted lemon butter. Large chunks of lobster are not overwhelmed by those seasonings and you can enjoy the lobster itself. It is not fat at all, and bun is never soggy. It is just perfect. 17USD for a lobster roll is pricey in general, however other stores charge you more like 30USD for a less quality lobster roll. I believe their lobster roll worth every penny. Luke’s Lobster has Crab Roll and Shrimp Roll as well. If you are greedy, I recommend you Luke’s Trio which comes with 1/2 Lobster Roll, 1/2 Crab Roll and 1/2 Shrimp Roll. Some people prefer Crab Roll or Shrimp Roll over Lobster Roll, hence it is the best to try all! Other than rolls, their Clam Chowder and Lobster Bisque are also great. They have real chunks of calms and lobsters in the soup, and not so salty soup is very rich. Katz's Delicatessen is one of the most famous and popular deli in New York City. Expensive? Tourist trap? Yes, it might be. However, don't care about what people say. After operating more than a century and serving for numerous locals and tourists alike, there should be various opinions, of course. And you are the one who judge. 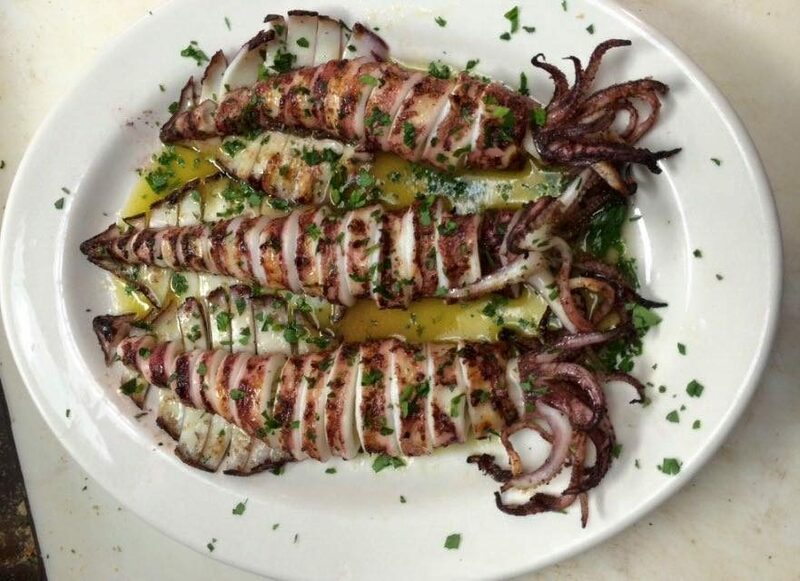 Astoria Seafood offers you high quality seafood in Greek style. The place is unlike any other restaurants in New York and you will have very local experience. If you love seafood, Astoria Seafood is a must to go. 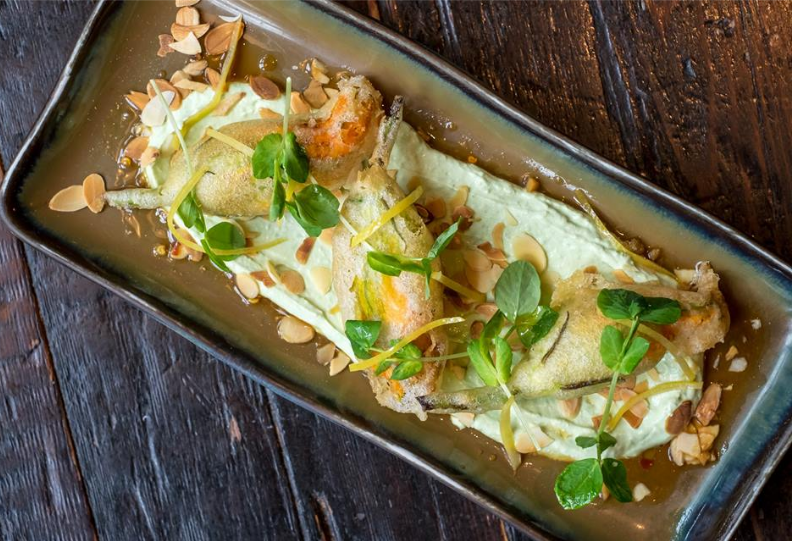 Girl & the Goat is chosen as a Top 50 restaurant in Chicago. The restaurant was opened by Top Chef' winner, Stephanie Izard, you can have amazingly great dishes born from her great imaginations.